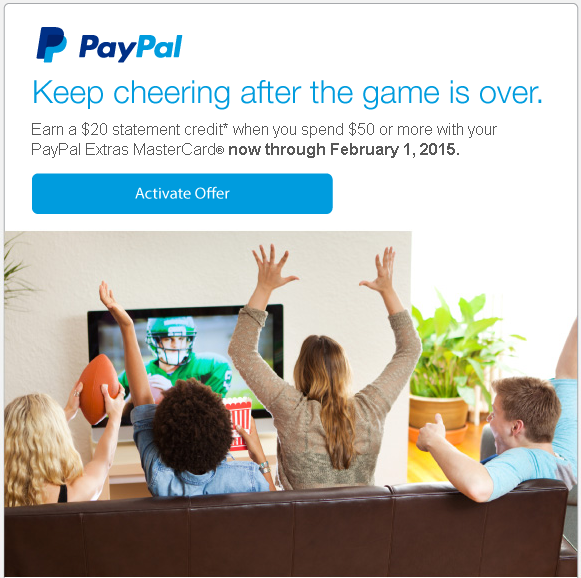 You receive an email that has a link to activate the offer. 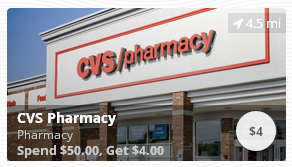 You must activate the offer by clicking a link before you use the card. I was really surprised that there were four offers in December, 2014. I received new offers almost every week that month. 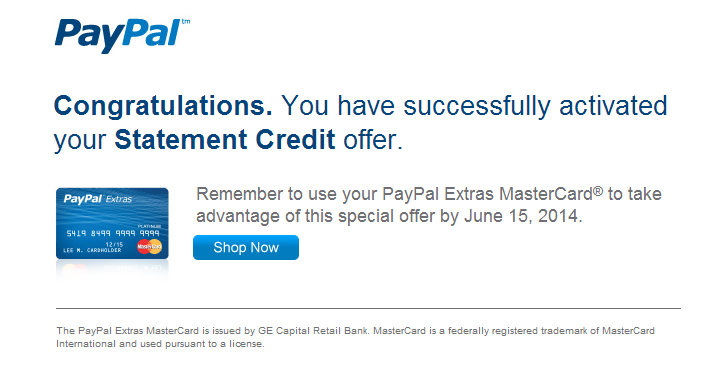 It’s much easier to redeem the offers than Amex Offers. Amex Offers are similar, using the card and receiving statement credit. 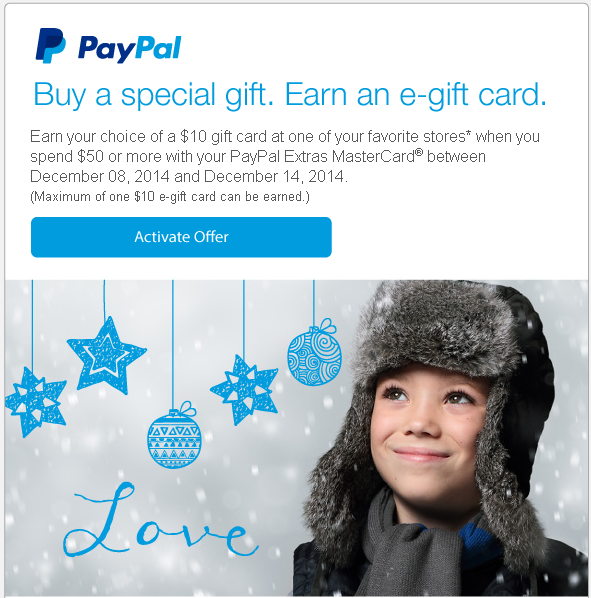 But for PayPal offers, you can use the card to redeem the offers in any stores. It’s very easy! 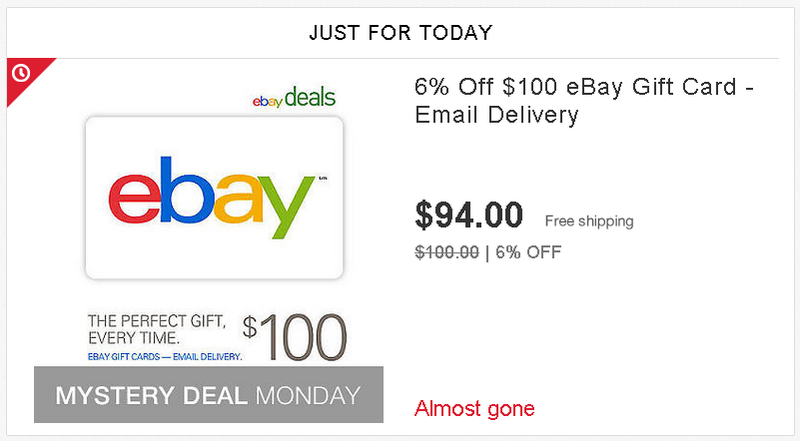 I’m going to buy $50 e-gift card on eBay. $20 statement credit is 40% back. 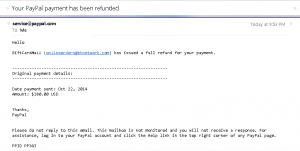 I will also earn eBay Bucks and 2X reward points. 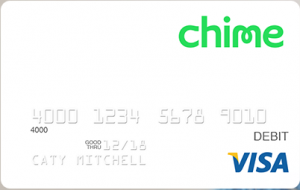 Chime Card is Reloadable Prepaid Debit Card that has a logo of Visa on it. Since it is a debit card, you can withdraw cash at ATM and get cash back with a purchase where available. But, the main feature of the card is that you can earn Instant Cash Back when you make qualifying purchases with the card. There are two types of rewards you can earn with Chime card, Earned Credit and Store Credit. Earned Credit is just like Amex Offer. Spend a certain amount at certain store and you will get certain amount credit. This type of offers looks like a left picture. 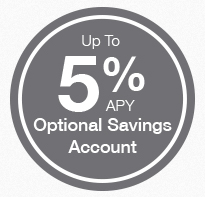 One thing that is different from Amex Offer is you don’t need to sync with offers. As long as you use the card for a purchase that costs more than a requirement, you will get the credit. 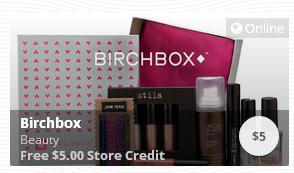 Store Credit has no minimum requirement and looks like a right picture. No matter how much you spend you will earn the credit. If you spend less than the amount they offer, you will receive the same amount of credit as you spend. The remaining balance of credit is kept for the next purchase. There are three ways to add money to Chime card. None of them is charged a fee. Some debit cards are charged up to 3% as a reload fee. Click here to see more details about charges. If you have a reward/point earning debit card, use it. You can do it online or with a mobile app. Money is available in no time. 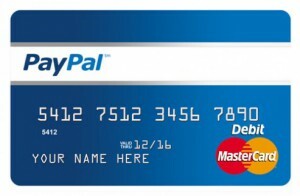 For example, PayPal Business Debit MasterCard offers 1% cash back for every purchase. 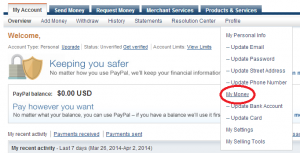 Transferring money to Chime account is treated as a purchase in PayPal statement. So, you can earn 1% cash back every time you add money to the card. A limit of $100 per day seems a little, but all Chime offers are mostly less than $50 (e.g., spend $35, get $5). And I have never seen an offer more than $100. When you find a good offer and don’t have enough money in the card. No problem. You can use the internet or smartphone to add money in a minute. Account Maintenance Fee: $5.00 per month ONLY AFTER 180 consecutive days of no purchases, withdrawals, or deposits on your account. As long as you use the card for redeeming Chime offers, you won’t get charged any fees. $5 for maintenance fee is avoidable. Any transaction you made waives the fee for 180 days. It is hard to get charged! This card is issued by The Bancorp Bank pursuant to a license from Visa U.S.A Inc. It reminds me of something. The Bancorp Bank also issues Visa gift cards. Vanilla, OneVanilla, and Target Visa gift cards are all issued by the same bank. 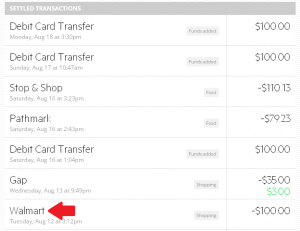 Since Walmart updated POS system, these gift cards can’t be used for reloading American Express BlueBird, Serve, or other reloadable prepaid cards (see details here.) Apparently, the problem is that these gift cards can’t be registered (or attached your name and billing address) because of their feature. However, Chime card is personalized. Your name and address are surely attached to the card so you can make online orders. And your name is also on the card. There is nothing shady to use the card for reloading BlueBird/Serve at Walmart. So, I went to Walmart Kiosk and added $100 to my Serve card with Chime card. The transaction went through, and here is how it looks like in Chime history. This is great! 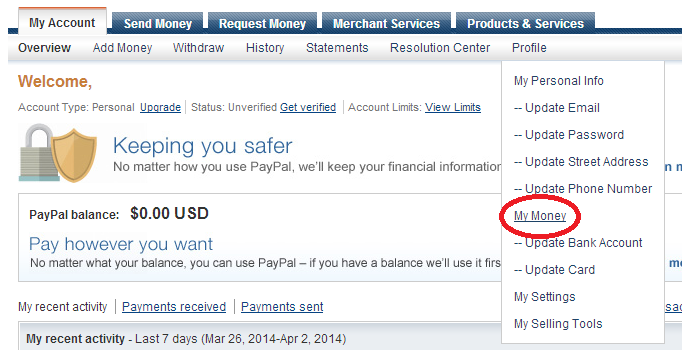 When I add money to Chime with PayPal debit card, I got 1% cash back from PayPal. But you can bring money back to PayPal through Serve and Bank account. 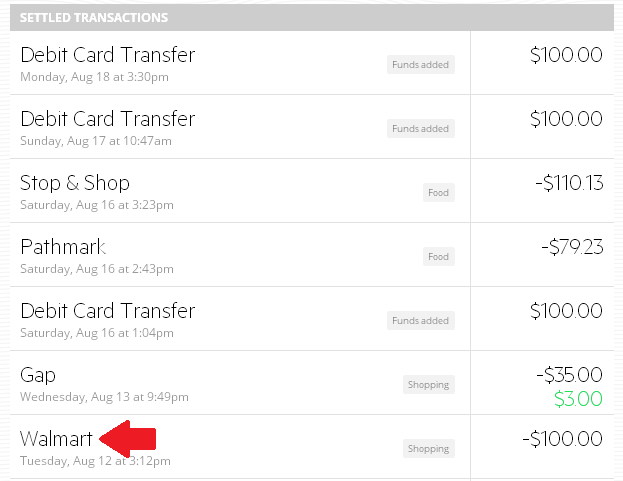 You can load Serve or Bluebird with PayPal debit card directly, in the same way, at Walmart, but this transaction is a PIN-used purchase which PayPal doesn’t offer 1% cash back. Aside from Chime Offer, the card can also be used for manufactured spending if you have a point/reward earning debit card. I wrote “there is nothing shady” earlier, but I think you should do these kinds of things moderately. Check all Chime Offers every week and redeem them from time to time, and reload BlueBird/Serve between these transactions.The history of Chime card shouldn’t be only Walmart and Debit Card Transfer. Chime Offer is very good for money savings. You can see new offers every week. Each offer has a limited number, but it doesn’t fly away so quickly at least for now. As long as you use the card for redeeming Chime Offers, you won’t get charged any fee if you make any transaction within 180 days. If you add money to the card with point/reward earning debit cards, you can boost up the earning by reloading BlueBird/Serve or get cash back at registers. You can only apply the card online. Please click here to get started. I received an email about Father’s Day Promotion by PayPal Extras MasterCard. According to the email, you will get $10 statement credit for every eBay purchases of $50 or more made with PayPal Extras MasterCard between June 2nd and 15th in 2014, a maximum of $30 in statement credit. It doesn’t say anything about eligible or non-eligible items, so it seems any purchase on eBay will be qualified. 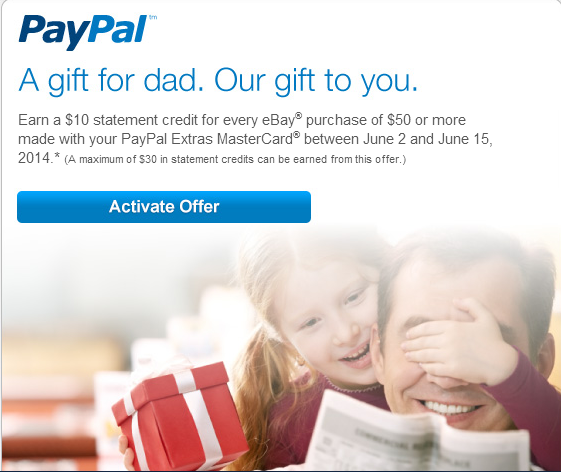 Currently, I bid at many auctions of gift cards, but I’m not sure if I will win and spend $50 or more on eBay by June 15th. So, I bought one $50 eBay gift card for now, and maybe two more later if I don’t win any actions. Make sure to activate offer prior to purchases. 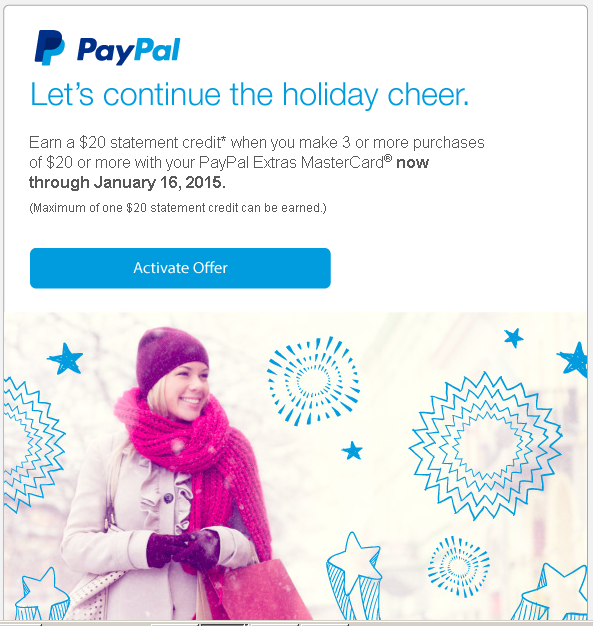 This is an easy $30 statement credit earning!!! 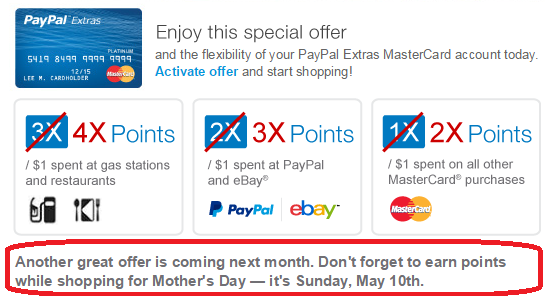 To maximize the reward of PayPal Extras MasterCard, let’s make all PayPal transactions charge on PayPal Extras MasterCard. 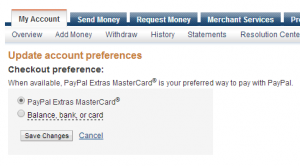 Once you active the credit card, make sure that PayPal Extras MasterCard is your preferred way to pay with PayPal. When you buy something on eBay, it automatically charges on the card. It doesn’t matter you have enough money in your PayPal account, or you added other credit cards or bank accounts, it charges on the credit card as long as you choose this option. eBay shipping labels and selling fees are the type of payment that you can’t pay automatically. eBay shipping labels and selling fees are not cheap, I’m sure all sellers want to save money on these payments. 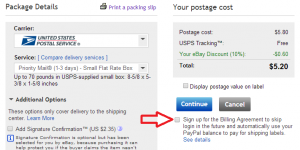 Here is how to pay eBay shipping labels and fees with PayPal Extras MasterCard. Probably, it’s been already done when you got approved or activated the card. Just make sure. Go to your My eBay and click “Account” tab and Click “one-time payment” in a section of “Payment methods for Seller Fees” and complete the transaction. From now on, you have to do this every month. 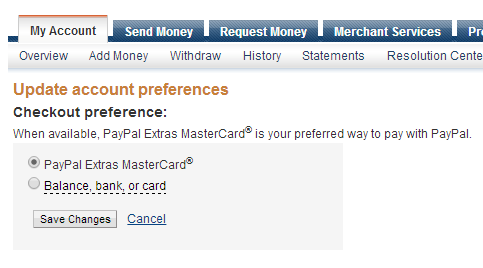 Don’t bother click “Change automatic payment method” and enter card# of PayPal Extras MasterCard. You can successfully set up an automatic payment in this way, but you will earn only 1x reward points because the transactions don’t go through PayPal. 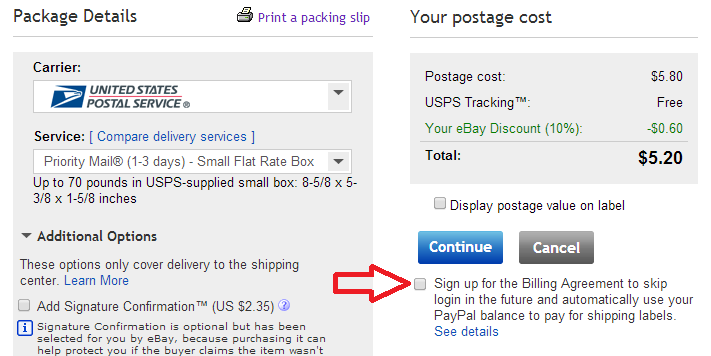 Go to the page of shipping labels, click “Purchase postage” With the box unchecked. 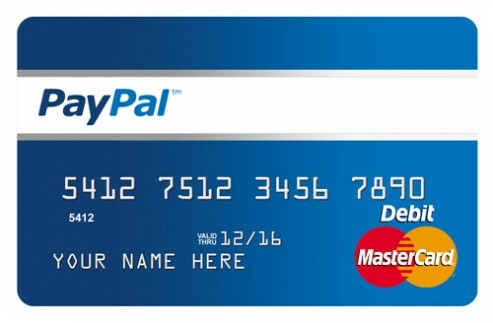 Enter email address and password of your PayPal account and complete the transaction. From now on, always leave the box unchecked. And you will need to enter the password every time you pay for shipping labels. 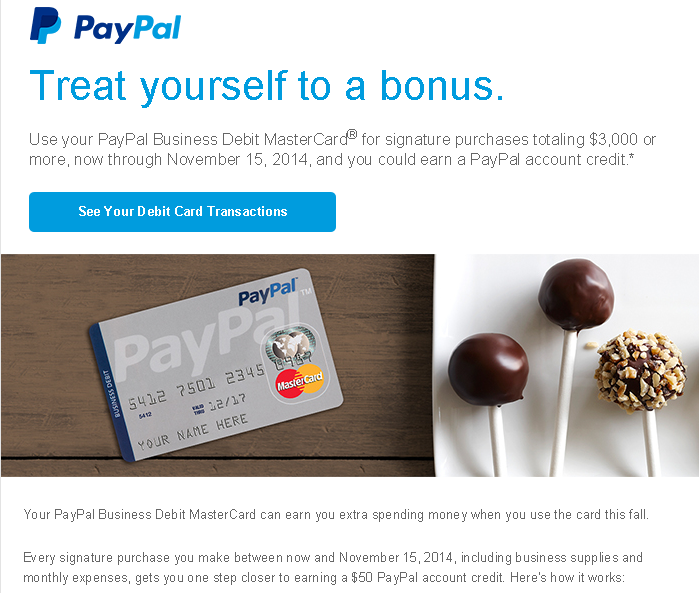 Paying all PayPal transactions by PayPal MasterCard will boost your earning of reward points. Remember that you can redeem the points for gift cards. The higher face value of gift cards you check out, the higher value of points. For example, $25 Sears gift card needs 3300 points (1pt=$0.00757), $200 needs 22500 (1pt=$0.00888). Enjoy your rewards!